Brainstorm your personal canon. What books have made an impact on your life? What characters do you relate to? What situations? What books have inspired you? Choose the five books that have had the most impact. Create a display or presentation of the covers, and a short explanation of why you chose each work. &bigstar; Displays can be posters, digital images, slideshows, etc. 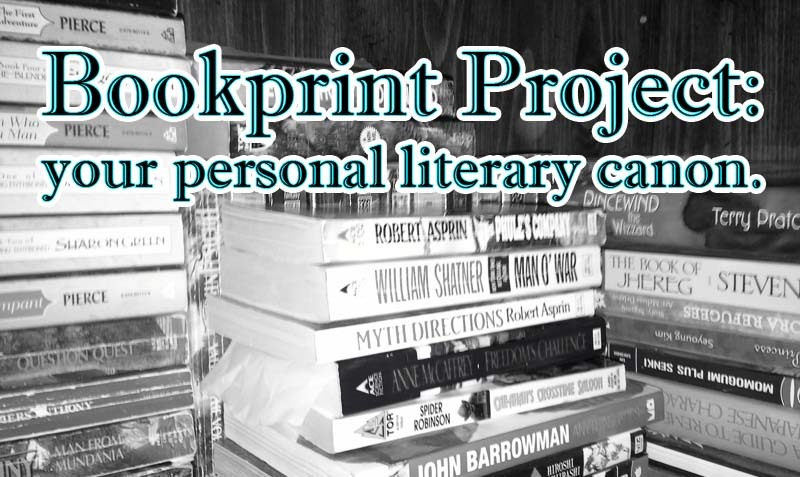 Outcomes: Students will create a display of five books that have impacted them – either personally or academically. R.9-10.2 Determine a theme or central idea of a text and analyze in detail its development over the course of the text, including how it emerges and is shaped and refined by specific details; restate and summarize main ideas or events, in correct sequence, after reading a text. Display includes five book covers, laid out in an appealing manner. Display includes at least 3 book covers. Or all covers, but some are obscured due to poor layout. Display has less than 3 covers, or covers are too obscured to be recognized. Each book includes a short description of how it impacted the student. Most of the books include a description of how it impacted the student. Descriptions are missing. From 3 or more books. Each description includes title & author of work. Most descriptions include title & author of work. 3 or more descriptions are missing title and author. This reminds me a bit of a letter exchange I just took part in. The prompt was to exchange letters in which “you’ll write a letter about which books make your top five and why you love them. What is it about these particular books that makes them so special? So addictive?” It turned out to be a lot of fun, in part because I had a very specific person in mind when writing and so it turned out to be a slightly different list than I would have come up for the more general audience for this activity. Letter writing projects are awesome. Nostalgic, yes, but I think the act of hand writing changes the way we approach letters versus email. I get what you mean about audience. I could have easily populated a list aimed at 6-8th graders, I almost did, but books didn’t quit having an impact on me as an adult and I wanted to acknowledge that in my example.